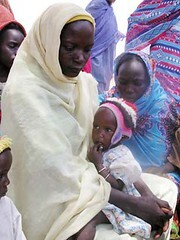 News: An Alternative for Famine: Get an Insurance! A U.N. agency has come up with a radical new idea to pre-empt drought-related famines: insurance. Famines generally follow a grim script: first the rains fail, then aid agencies issue dire warnings, and finally the United Nations scrambles to raise money and send food aid as journalists write stories of horror and tragedy. In the worst cases, real alarms don't go off until the starving appear on television screens. Even when peasants are spared death, they often lose everything they own—including animals and seeds. NEWSWEEK: A mutual acquaintance refers to you as the "guru of famine insurance." Richard Wilcox: There have been weather contracts used in different areas—primarily in the energy business, but also in agriculture in developed countries—for the past decade. Our contribution was to say that this is a tool that can work in development. Can you tell me about the pilot program? I'd think that Somalia would be far more complicated. Well, let's say a country that has a government. All we wanted to do was to build contingency funding for a catastrophic year. The easiest way is to ask a donor to set aside funds. But countries don't want to set aside contingency funds of significant magnitude just to have them sit there. So we translated the potential losses [for Ethiopian peasants] into an index that correlates with rainfall, took all of that data and sent it out to the international reinsurance market—eight large reinsurers that had both the credit rating and experience in the precipitation markets to be interested in this kind of work. We got six responses, and a French company called AXA Re won that first contract. A premium of $930,000 to get coverage of $7 million? The United States paid 90 percent of it, and a European donor, Denmark, paid 10 percent. It was meant to have a demonstration effect—to show that these kinds of contracts can be done. To get the attention of the financial markets, as well as the aid business. Oh, I think it has. We're going for a second phase in Ethiopia, which is moving beyond having coverage just for the catastrophic years. The coverage we're developing now is for a three-year drought-protection scheme that also covers pastoralist areas, which is technically quite challenging, but I think we've cracked that nut. In the pilot, the drought didn't come and the insurer got to keep the premium? Correct me if I'm wrong in my understanding of pastoral coverage: this is to protect against the depletion of forage for grazing. If there is not enough forage, contingency funds will kick in to help the herders? Now, if the pastoralists get money when they overgraze, won't that encourage overgrazing and the further destruction of the environment, perhaps to the point where no one will want to insure them? The way this works, it is triggered only by objective conditions on the ground. In the absence of rainfall, there is less grass to graze on. [But] we're trying to figure out what kind of intervention is appropriate. I don't have a happy answer on what exactly a contingency plan would look like. To what extent is climate change driving this idea? It's one of the big drivers. There are three reasons we're constructing this whole system: one is the increasing cost of destitution with growing populations. Ethiopia today has about 70 million people; by 2030 it's projected to go up to 130 or 140 million. Now, as long as dependence on rainfall continues and rainfall is volatile, the cost of intervening to save lives and livelihoods grows significantly. The second factor is dignity for the beneficiaries. In the system as it exists now, we essentially advertise misery to raise funds—showing people's lives at their worst in order to sell our interventions. What we want to do instead is protect people's potential—to say, yes, these are productive people who have a future and need protection from weather shocks. It's very different approach. The third big factor in this is climate change. There is a consensus that, yes, the climate is changing. What exactly that will mean for a country like Ethiopia is still unclear. But conceivably, you'll have conditions worsening, populations growing and the price tag becoming unmanageable. We need to design a system that is as cost-effective as possible. That's where the insurers come in? What's important about involving the international risk markets is that a lot of the expertise on climate change resides there. The people who are spending most to research climate change are the big reinsurance companies. That is their business. And we can't go to them and say, "Out of the goodness of your hearts and your sense of social responsibility, we want you to look at the climate in Ethiopia." 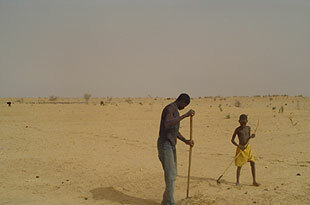 Are there other schemes being considered for weather insurance in the developing world? We'd like to do coverage for much of sub-Saharan Africa. The risk cycle in Africa is the same every year: it starts with the cyclone season in Madagascar [and] Mozambique, then it's the harvest failure or flood, depending on how things go in southern Africa, then the same in the Sahel area and then the harvest cycle hits the Horn of Africa. So we'd like those risk exposures built into one big portfolio for sub-Saharan Africa. With that you could optimize the financing of it significantly. How many countries in Africa would have the necessary data? Even in Ethiopia, who monitors the rainfall stations? The way it works in Ethiopia is that there's a third party that is the verifier, an American company based in Maryland. It's the same company that does all rainfall verification for commercial contracts in the U.S.
Is it all drought insurance, or is there flood insurance as well? Flood insurance is doable, seismic risk is doable, cyclone risk is doable. Seismic risk and cyclone risk are easy, because they don't require local data. Our problem in spreading this wider is not on the technical side, but government interest and donors. When we started this work, we were taken to task for exceeding the mandate of the organization. Is there insurance to cover you for bad bureaucracy? Did you think up this idea yourself? Were you sitting around one day and thinking, hey, what about using international financial mechanisms to address the risk of drought in the developing world? The idea came from a discussion of what is this organization, what do we do? Are we just a logistics provider? On one level that is what the organization does. But what is our function from the viewpoint of the beneficiary? Well, from their viewpoint, we are in fact an insurance provider. We step in when there are significant losses. That was the logic behind this work. Are there people within the organization who don't want you to be an insurance provider? It's within the organization itself, and within the governing structure. And, in a way, it's for good reason. Nobody has given WFP a mandate [for this]. A number of donors think this is interesting, but perhaps somebody else should be doing it. Yet you've been able to launch a three-year program. We're planning the three-year program, and we're obliged to report back to our board in November with a proposal for the appropriate institutional setting for this type of work. Is there a nemesis? Somebody trying to kill the idea? Different donors have reacted with different levels of enthusiasm. The U.S. has been the strongest supporter. Others have asked if this is appropriate. Spending money that is meant to help poor people on contracts with major international financial houses strikes a number of aid agencies as being wrong. Then our argument is: we are not pushing insurance per se. If donors want to have contingency money just sitting in escrow accounts, fine. It's the coldest day of this year, 2008.... Last night, as we were all holding our breath waiting to see what would happen during the meeting of the Assembly, it started snowing... At first it was really light, almost invisible, but little by little it came down in heaps... We've all been joking that the icing on the cake would be an electricity cut just when they're making the announcement. Lately, it's gone back to 5 - 7, 9 - 11 or 11 - 1, depending on the areas. My colleague leaves work since he has to go to Gjilana to pick up his parents and bring them to Pristina. Just in case, as he doesn't want to be caught off guard if the announcement comes through when he's passing by Gracanica, one of the biggest Serbian enclaves a few kilometers away from Pristina. At 1.30 pm everything stops. Everyone is aware there is a press conference set up by Thaci. But at the end, we all just heave again.... nothing! Thaci, like any good politician, well trained by the west (who also knows how to justify himself and sell the importance of human rights and his protection) simply announces that the new Kosovar state will always respect and protect minorities... Boooorriiinnggg! No-one would ever believe that, but he's got to say it. Just like the Serbs say they are concerned for the Kosovar Serbs while they couldn't have been more neglected and forgotten. In the Serbian enclave of North Mitrovica, the unemployment rates are soaring. Pristina awakens, below zero and ready to explode.... In the media, it says that the EU has finally approved a civilian mission to be deployed from February until June (ahhh, we finally have a reference point... June, June... You've got to read between the lines).. Just like Thaci's announcement that Sunday, 17 January, will be the long-awaited declaration, the intention, the independence??? We, the internationals, have our instructions... Not really clear but instructions nonetheless, of what our behavior should be like... Of course, these instructions have reached the media (look at the above reference to 'rumors and gossip'... this is just so internalized!!)... The OSCE is neutral and after the declaration, celebrations are expected... Our chief of security says that during these celebrations, there will be "happy shooting" and then as an afterthought, he says since all what goes up must come down, we need to stay inside.. There have been other messages from the UN Special Representative of the Secretary General. He's saying that UNMIK (under which the OSCE falls) cannot take any sides and as a result, we must abstain from participating in any activities or festivities in an official capacity... Anyways, now, to avoid press infiltrations - there are no more written messages.. more rumors that we've been instructed not to celebrate in public or in private, no DANCING???? At least, they haven't forbidden us from drinking.. Better than nothing... And we still don't know whether we should be at work or not on Monday... If we don't, does that mean we've taken a side? Or can it be disguised as a 'security issue'? But c'mon, there haven't been any security problems... At least not in Pristina. We're really lucky. This place needs love. Like so many in this precious world of ours, hurting and screaming from pain, forgotten by the rest, but home to all... Yes, it needs a lot of love, like everyone. There are no security problems. But that doesn't mean I'm not full alert... For the first time today, I've turned on my handheld radio, but there's nothing, no news.. Hey! someone just said something!! Yay!!!... "Pero I can't hear anything..." "Repeat, over, over..." Nothing... I can still hear the horns in the streets... Yesterday I went to the supermarket since it would be three days of celebrations, partying.. I have bottled water, money, my passport, credit on the phone, my Spanish mobile on and what else?? Well nothing, as we're the privileged ones in Pristina... To the north, where the river Ibar passes, there could be problems... The KFOR/NATO soldiers are deployed to risky places, fully equipped in their armored vehicles,.. In their element, I suppose, since the military does need a conflict, right? Serbian ministers have been sent out to all the Serbian enclaves. In Mitrovica today, a group of Serbian ministers are gathering to prevent any problems, to calm people down, but as a good friend of mine says: "Mitrovica doesn't belong to anyone, they've been abandoned by the Serbs and of course, by the Albanians..." And when there's neglect, the emptiness is filled by weapons, that's basic survival instinct. Either they protects themselves or nothing. That's a pressure cooker there. 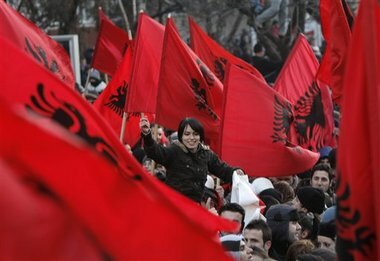 As for the rest of the place, it's filled with Albanians from all over, filled with excited people, already celebrating. Filled with journalists crammed into the Hotel Grand Pristina... The great circus of journalists looking for stories to sell, sniffing out stories from street corners, taking the best photo that'll come out in the front pages.,You go out to the streets and they'll stick a camera in your face... Such a pain! I feel like this place is my home and it exasperates me that people come to exploit it. Actually, a load of Internationals have escaped and there's just a few of us that didn't want to miss the birth of the first country in the 21st century, to go with these people who waited, who dreamed, who worked for a free Kosovo. They don't care what may happen tomorrow. Here the important thing is not to be part of Serbia, the Serbia that humiliated them, massacred them, held them back.... They don't forget... But does suffering, having been a victim, justify everything? All these emotions, I'm exhausted and happy. I haven't fulfilled what I'm here to do, but I'll do all that I can to get as much as I can ready... To me, this is the countdown... I don't really know the countdown to what, but without a doubt it will be a countdown to my leaving this place which has given me so much, which still gives me for the future.. I feel a little sorry, but I'm excited and I've got the strength, faith, always with peace and love... Tomorrow I'll go out to celebrate, to the street, to watch, to soak in this experience, in this birth.... Because tomorrow, Kosovo will be independent. Kosovo awakens to another cold day, covered in a mantle of snow. It might be its last day as a Serbian province. We have agreed to meet for brunch in the market, at what we call "Police Avenue", right in front of the Justice and Police Department. There are a lot of known faces, internationals, some with a hangover from the day before, taking re-hydration salts to recover and get ready for today, the big day..
Little by little we all start showing up and the coffee shop's filled up! Just about everything is closed and no, the stores haven't stocked up... Most of the people spend their time cruising around. 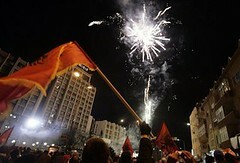 In Kosovo, how do they celebrate independence? By, beeping the car horn!! M and I have to pick up MC at the airport... He lent us his car when he was away on vacation.. It was a real trek from the OSCE parking lot, where we even seem to have trouble getting out. We don't know if the road to the airport is blocked or not. They say the road to Skopje is closed as it goes through a Serbian enclave. We pick up MC, who's wearing a short-sleeved shirt. We drop him off at his place. While he changes, we open a bottle of sparkling wine. Then, we start making our way to the center to meet with the colleagues. We leave the car parked and walk. The happy shooting starts. You can't imagine the amount of shooting... We cut through the football field, behind the UNMIK clinic and what once was the Serbian Secret Service building. It was was bombed by NATO and is been kept as-is to mark the end of the Serbian regime. And to remember what will never be again.. The AK47 machine guns keep on blasting. 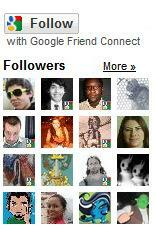 What a rush, I'm not sure why but it's fascinating. The wind slices my face. If I stay on the street one more second I'll freeze. My fingers, my toes hurt. I jump at the heater in the restaurant, again in Police Avenue, just as the police replaces the old UNMIK police flag with the KPS (Kosovo Police Service) one... People clap their hands as the flag's being raised. We smile at each other. It's impossible not to feel like we're a part of it, not be infected by the excitement and celebrations. And the shootings continue. Sunday, Feb 17 2008, 4 PM. We decide to go drink rajkias. We'd promised the De-rada waiters that we'd pass by and say hi... We are regulars at the De-rada brasserie. It's close to home and they've got good wine. We closed the bar on a number of occasions. The chiquitos know us, and pamper us. J and L come to join us.. We switch from rajkia to wine. The TV is on and we watch the Assembly members sign the declaration, with Thaci at the back... When the last member signs, all hell breaks loose.. Flags, music, dancing, shouting. It's really hard for us not to dance, our hands, our arms, our legs, it all moves almost against our will. It is just like in the story of the Pied Piper, we finally give in... We keep bumping into more colleagues, the desire and excitement doesn't wane in this commotion intensified by the alcohol that runs through our veins. Laughter, hugs, dancing, shouting. We're starving so we stop at home to refuel. In a split second, M and I have organized a dinner for eight, as in the background we can hear a melange of news (in Albanian) and football. Between all of the commotion, we hear a conversation on the handheld radio. Me, as usual, can't understand a thing so M gives her callsign and asks what is going on. Apparently, they've bombed the UN/EU building in Mitrovica and there's been two people injured at Nena Theresa street due to the happy shootings. Next stop is D's house with a balcony overlooking Nena Theresa Street. Madre mia, the excitement! The music from the stage, people are pressed against each other due to the cold, and the happiness. The whole street is filled with flags. Firecrackers exploding. We start drinking gin and tonics, and once we're warm enough, we head down to the street again to be a part of the crowd! It's been a while we've been shoving the instructions and restrictions under the heavy rug of neutrality. We just "are" at this moment! We are just as concerned for the Serbs as we are for the Albanians, but we are people with feelings and we just can't stand at one side! All of the sudden, Thaci appears on stage. We don't get to see him but the roaring the crowd says it all... Kosova free, "Erime Pavaresia", "UCK". I can't help but shout it as well. I don't think. I don't want to think. I let myself get swallowed in the passion. M, MC and I hug each other. D catches it on the video camera. The fire works start. We look all over the place, euphoric, excited, freezing but happy. The day is reaching its end. We go home, I'm a little feverish. Once inside, I keep my coat on. More gin tonic and the TV in the background. We watch the repeats of the Assembly meeting, Thaci's speeches, the EU foreign ministers, Thaci, the streets. Chatting away, tired but satisfied. We've participated in the independence of others, of friends, colleagues, of people that we've come to help. Resolution 1244 has survived an earthquake. It was set up to put an end to a state of emergency, it was meant to be temporary and has survived eight years. The problem was no-one had the courage to take a decision seven years ago and now the people have taken the step. For them, the important thing is not to be a part of Serbia. 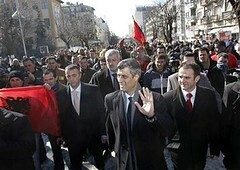 Thaci has been repeatedly saying in his speech that the rights of all minorities will be respected and protected. This speech was imposed, of course, as a condition for what he has done. So if today we are where we are, it's because of all of us. Today, there's been a demonstration in North Mitrovica. All's calm. BBC focused for a couple of seconds on the Kosovo independence and return to the elections in Pakistan. Much more important? 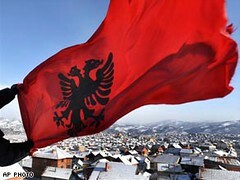 So far, Albania and Saudi Arabia have recognized Kosovo as an independent state. We are back at the De-rada, with CH, MC and M, when a guy walks in and announces the EU's just recognized Kosova. Cheers, shouts, dancing and rajkia for everyone. Once more. 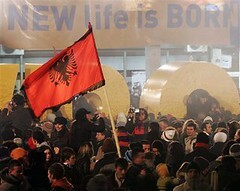 Once more: "Kosovo is independent!" Here are the testimonial videos we shot for the CCAFS project (Climate Change Adaptation and Food Security) in Ghana, Burkina Faso and Mali (West Africa). Update March 2008: For the sake of precision: due to the recent fuel and food price increase, the cost to feed a child per day is now 25 cents. 1/ Question: Part of what programme does that figure come from? Answer: That figure comes from the WFP School Feeding Programme. As much as 'feeding the hungry' is a short term solution to the 'hunger issue', 'proper education' is one of the pillars for a longer term solution to the problem of poverty (and 'hunger' as a result of it). To encourage kids to come to school in developing countries, WFP provides them with a free meal. 2/ Question: How is the figure calculated. It can not be that low, can it? It is an average that was calculated in 2000, by simply taking all that WFP spent on school feeding programs by country and dividing it by the number of beneficiaries and then by an estimated average number of school days per year (we used 180). It was across all countries and all types of school feeding (just school breakfast or snacks, just school lunches, two meals a day/breakfast + lunch, boarding school meals of three meals per day, and/or take-home rations which may be provided as the only WFP input, or may be combined with one of the meals described). - improved our reporting systems and calculations, and added some parts of the "essential package" (especially micronutrient fortification, de-worming and HIV/AIDS prevention education) everywhere we can. So the food cost per day has actually dropped a bit (due to economies of scale and more accurate accounting), but we have maintained the 19 cents per day in order to ensure that we are responsibly addressing those essential elements that WFP can implement (as strongly recommended by our donors, school feeding and education experts and others). 3/ Question: What does that US$0.19 per day buy? What 'meal' are the children given? - a staple grain (such as rice, sorghum or millet) along with "condiments" (oil, sugar and/or salt), to which the community adds the ingredients for a sauce; or fortified biscuits (baked in either a "salty" or a "sweet" form to accommodate local taste preferences). Take-home rations are included in these calculations, and they consist of one or more food items (usually one) which is of significant value in that location. So in Pakistan, it is a can of cooking oil, in another country it is a bag of wheat or corn, etc.. Take-home rations are economic incentives for the family to send their child/children to school and generally are given monthly or quarterly to students who have maintained good school attendance. We do not require that the child him/herself eat that food. That is why take-home rations are sometimes combined with in-school meals. The take-home rations serve as the economic incentive for the parents to send the child to school/offset the loss of the child's labor at home, but a nutritious school meal is required to ensure that the child is not hungry and has enough energy to learn. WFP has found take-home rations to be an extremely effective method of increasing school enrolment and attendance of girls and child laborers (in food-insecure locations where girls are not attending school or where child labor is a particular problem), and we have been also been having good results with take-home rations combined with school meals for children from households affected by HIV/AIDS and other particularly vulnerable children. 4/ Question: Does the 19 cents per day include the overhead, the transport, etc.. Still interested in more? Here you find all background material. Less than ten miles from Zimbabwean President Robert Mugabe's mansion in Harare — the largest private residence on the African continent — Cleophus Masxigora digs for mice. On a good day, he told me, he can find 100 to 200. To capture the vermin, he burns brush to immobilize them, then kills them with several thumps of a shovel. This practice has become so widespread in Zimbabwe that, as a Zimbabwean journalist informed me, state-run television has broadcast warnings against citizens setting brush fires. Masxigora began hunting mice to support (and feed) his wife and three children soon after Mugabe began confiscating thousands of productive, white-owned farms in 2000, a policy that has since led to mass starvation. Not long ago, Zimbabwe, the "breadbasket of Africa," exported meat and produced what was widely considered to be Africa's finest livestock. Today, Masxigora tells me that each mouse nets $30 Zim dollars, about 12 cents, which makes him a wealthy man in Zimbabwe. "This is beef to us," he told me in August. The conditions Mugabe rendered in Zimbabwe do not merely stem from idealistic economic and social policies gone awry. He has undertaken a campaign of violence and starvation against political opponents, the fallout of which is killing tens of thousands, if not more, every year. 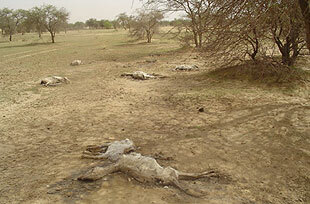 In 2005, there were roughly 4,000 more deaths each week than births, a rate that the famine has surely increased. This is worse than brutality. The United Nations says that "deliberately inflicting on the group conditions of life calculated to bring about its physical destruction in whole or in part" constitutes genocide, and that is exactly what Robert Mugabe has wrought. The genocide in Zimbabwe is not as stark as others. There are no cattle cars and gas chambers. There are no machete-wielding gangs roaming the countryside. There are no helicopter gunships or Janjaweed. The killing in Zimbabwe is slow, oftentimes indirect, and not particularly bloody. But Mugabe's campaign of mass murder against those who oppose him has been no less deliberate than any of the other genocides in human history. It all began with Mugabe's land seizures in 2000, in which he booted white farmers from the property they owned and replaced them with political hacks who have no interest in agriculture. The results were disastrous. Zimbabwe annually requires 1.8 million metric tons of maize. Yet, in 2006, for instance, it faced an 850,000 metric ton deficit — of which planned imports would cover just 60 percent, with only 28 percent of that delivered by December. The country also requires 400,000 tons of wheat annually, yet, last year, it produced only 218,000 tons by the government's count — meaning the true total was likely far less. As early as 2002, the BBC was reporting that people in Matabeleland, the southern region of the country where the minority Ndebele tribe lives, were starving. That same year, on the eve of a massive drought, the Minister of Zimbabwean State Security said, "We would be better off with only six million people — with our own who support the liberation struggle. We don't want all these extra people." Today, according to the World Food Program, 38 percent of Zimbabweans are malnourished. The fallout has rippled through society: Zimbabwe has the world's highest inflation rate (1,600 percent annually, expected to hit 4,000 by the end of the year) and an HIV prevalence of at least 18 percent, and probably higher. It also has the lowest life expectancy, by far, in the world: 34 for women and 37 for men (it was 62 in 1990). Last year, 42,000 women died from childbirth; less than a decade ago, this figure was under 1,000. 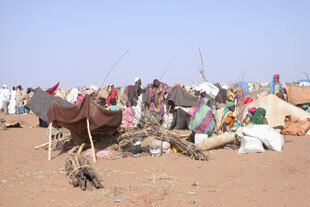 The weekly death rate exceeds Darfur's. Meanwhile, Mugabe's party, ZANU-PF, is wielding the food shortage as a weapon against the opposition. The government's Grain Marketing Board frequently denies food aid to people in districts that voted against Mugabe in recent elections; only those with ZANU-PF membership cards are able to get rations. Several people I spoke with in Harare's poor township of Hatcliffe told me that the army and the police regularly interfere with food distribution from USAID, UNICEF, and other international aid groups. In 2002, USAID director Andrew Natsios publicly scolded Mugabe for manipulating American food aid, a practice that has continued unabated. And a 2004 Amnesty International report warned that "[T]he government has used the food shortages for political purposes and to punish political opponents." Then, as if starvation weren't bad enough, Mugabe unleashed more destruction in May 2005. Operation Murambatsvina (Shona for "Drive out Filth") aimed to "re-ruralize" some 1 million Zimbabweans — mostly poor, urban shanty dwellers from areas that voted against Mugabe in parliamentary elections just weeks earlier. Mugabe's henchmen forcibly cleared the slums. A United Nations report filed by a special representative of the secretary-general, found that the operation was "carried out in an indiscriminate and unjustified manner, with indifference to human suffering, and, in repeated cases, with disregard to several provisions of national and international legal frameworks." The Fourth Geneva Convention considers the "deportation or forcible transfer of population" to be a crime against humanity. There is historic and legal precedent to warrant calling these policies genocide. In 1996, U.N Secretary-General Boutros Boutros-Ghali declared that Rwandan Hutu refugees living in Zaire might be potential victims of "genocide by starvation." In December of 2006, the former Ethiopian dictator Mengistu Haile Mariam (also known as the "African Pol Pot") was found guilty of genocide by a court in his own country after a twelve-year trial. His government was convicted of having "conspired to destroy a political group and kill people with impunity" — not only through actual murder, but by creating and prolonging the 1984 Tigray famine, in which some 1.5 million people died. In 1991, Mariam escaped from Ethiopia, finding asylum in, of all places, Mugabe's Zimbabwe. Incidentally, the starvation and transfer of Mugabe's opponents isn't the first time he has has unleashed a genocidal campaign against his own people. Not long after taking power, in the mid-'80s, Mugabe's North Korean-trained ZANU-PF army killed an estimated 25,000 Ndebeles (the minority tribe to Mugabe's own Shona majority) in an operation known as the Gukurahundi (Shona for "the early rain which washes away the chaff"). The Matabeleland massacre ended, once and for all, any Ndebele challenge to Mugabe's power. People are finally beginning to call it like they see it in Zimbabwe. R.W. Johnson, an Oxford-trained academic and for many years the London Sunday Times' southern Africa correspondent, declared in a recent dispatch that "A vast human cull is under way in Zimbabwe and the great majority of deaths are a direct result of deliberate government policies. Ignored by the United Nations, it is a genocide perhaps 10 times greater than Darfur's and more than twice as large as Rwanda's." (Johnson reported the widely published number of three million Zimbabwean refugees in South Africa and one million who have fled elsewhere, leaving a population of 14 million in Zimbabwe. But the government itself publishes an official figure of 12 million citizens, leaving 2 million people "missing.") And Arnold Tsunga, chairman of the Crisis in Zimbabwe Coalition (an NGO devoted to democracy and the rule of law in Zimbabwe), called Mugabe's policies "smart genocide," because they have taken place unnoticed by governments, aid organizations, and the international press. Will anything come of it? This month, South Africa took over the rotating U.N. Security Council presidency. Although it's a perfect opportunity to publicize Mugabe's crimes, South Africa, the regional power, has emboldened Mugabe by endorsing every instance of his election-theft (flying in the face of international observer teams), supplying him with economic aid, and strengthening the countries' military alliance. So it's likely nothing will happen. Last month, Mugabe and 10,000 of his supporters gathered in a soccer stadium to celebrate his eighty-third birthday — gorging on giant cakes, tons of corn meal, and 38 cattle slaughtered specifically for the event. "We are terribly disappointed," one man — who brought his wife and children to the event but was not allowed in — told the Guardian. "This was an opportunity for us to get a proper meal." So, while Mugabe feasts, men like Cleophus Masxigora continue to scour for mice.